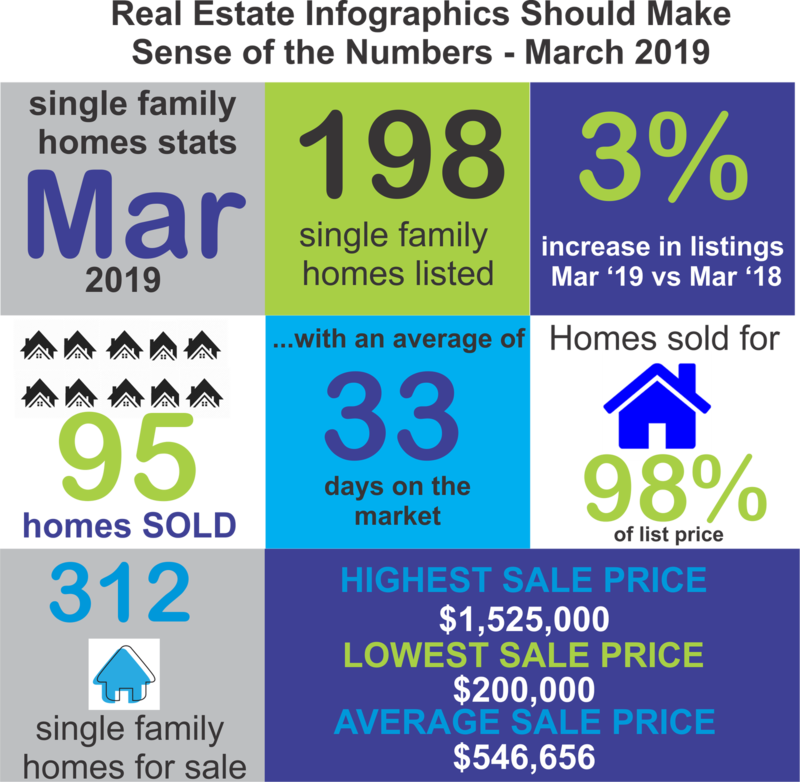 It is interesting to review and reflect upon the latest MLS statistics for the Nanaimo area and the marketing activity for March 2019. In addition to keeping an eye on how Canadian median prices are changing, I also like to see how our local areas are doing. As we look for signs of a Buyer's Market emerging, it is interesting to note that the average sale price has not shifted dramatically in March 2019 when compared to March 2018. Although the media may be quick to report that the prices continue to drop, the actual numbers are much smaller than one might think. The average sale price of a home in February 2019 was $546,662, while the average sale price of a single family home in March 2019 was $546,656 - a difference of only $6 (six) dollars. Compared to March 2018 (considered a Seller's Market), the average price only dropped by $1,000 as the price was $547,656 - which means (statistically speaking),that home sellers are still getting 99.8% of what they achieved last year for their home. What about strata properties? You may be interested to learn that townhome sale prices have actually increased in March 2019, even when compared to the average prices of both February 2019 and March 2018. Last year, the average sale price of a townhome was $354,753 while the average sale price last month was $372,730. However, there may be more to these statistics than meets the eye. While townhomes garnered higher sales prices, patio homes and condos did see their prices decline, so it may be that home buyers are shifting towards townhomes than other styles of strata properties and this demand has fueled the strong average sale price. 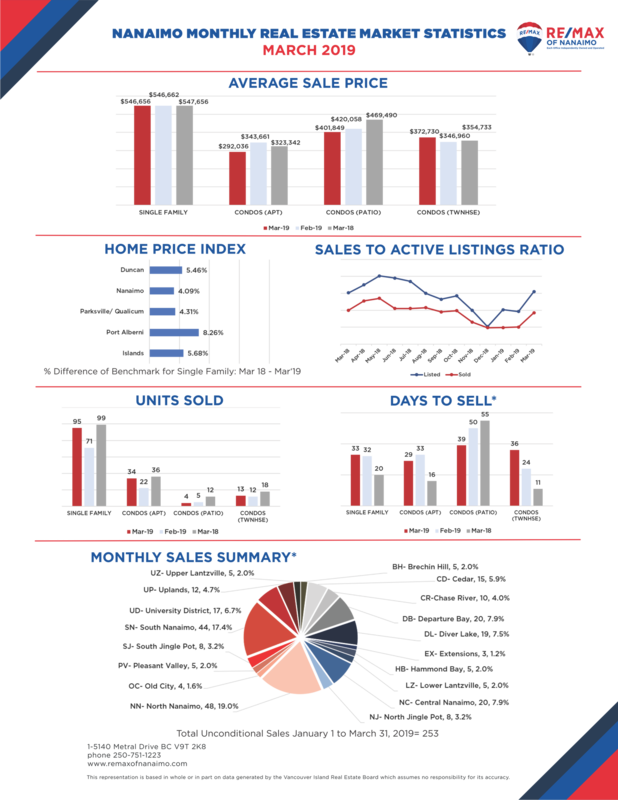 If you are interested in what other areas of Vancouver Island are experiencing in real estate, here is a handy reference guide that provides more detail on home price index, sales to listings ratios and other pertinent information. I want to ensure that my clients receive relevant real estate information so that they can make the best decisions for themselves and their housing needs.